The Brick Castle: Persil's Cook With The Kids - complete with birthday cake! 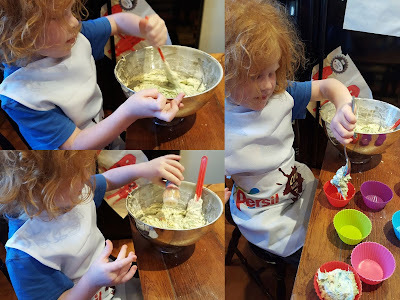 Persil's Cook With The Kids - complete with birthday cake! This Autumn Persil Washing Up Liquid have launched a new on-pack collector points campaign called 'Cook With The Kids'. Every bottle of Persil washing up liquid has a code which can be redeemed online for points. 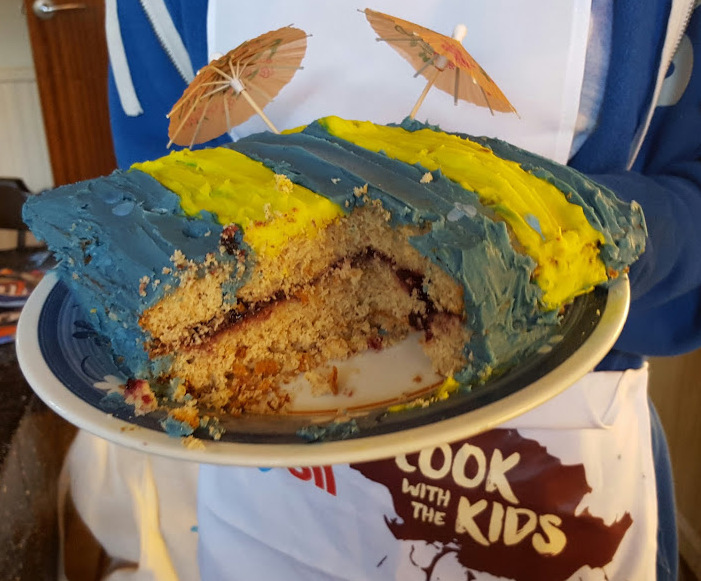 The points can then be exchanged for all kinds of Cook With The Kids goodies including aprons, silicone whisks and cupcake cases, and more. You can also exchange points for money off Haven Holidays, and each time you redeem a code, you are entered into a draw to win a £250 supermarket voucher! I love baking with my children and have many blog posts labelled 'cooking with kids'. 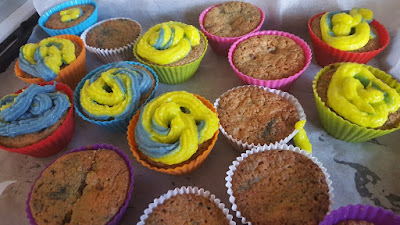 My Food Page lists the recipes I post and almost all are designed to be simple and serve as a collection for my own teenagers (should they decide they're bored of instant noodles). I believe that we all eat, so we should all have an idea of how to feed ourselves. I include my family in cooking as often as possible. 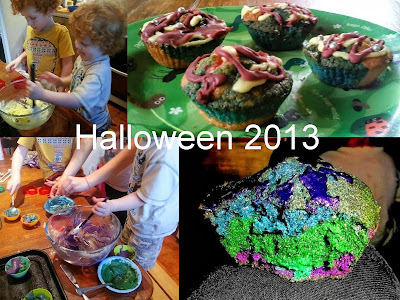 We used the cake recipe which I first posted for Revolting Rotten Halloween Cupcakes a couple of years ago - and we had the same head chef! 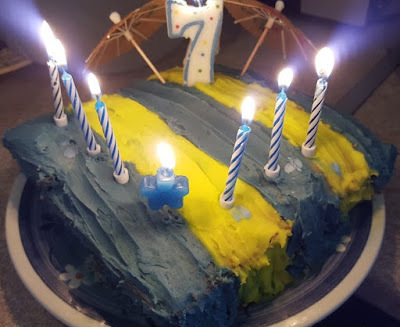 The blue and yellow theme was continued with the birthday cake...I'm not sure why there were umbrellas, but all the partygoers thought they were brilliant, so it was a genius move. Persil's Cook With The Kids is about getting into the kitchen with your children and enjoying baking. It's a lovely thing to do and teaches your children so many useful skills for life - you'll also learn a lot too. It's important to spend time chatting with your children, and cooking together is perfect for that. 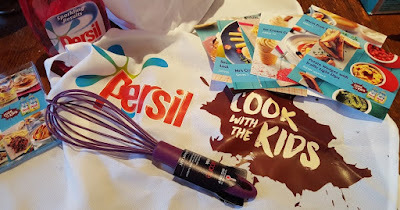 We were sent the items shown from the Persil Cook With The Kids range in order to do our baking. My mother hate cooking with me so I had never learn a single thing from her. Since I moved out from home, I didn't know how to cook except eating pot noodle. 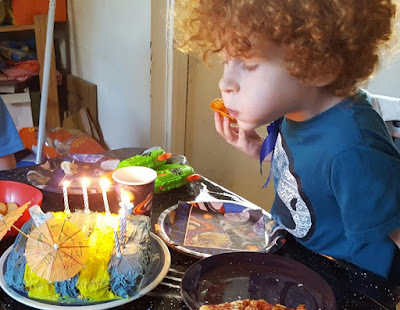 So I learn the hard way and I must sure I teach my children the life skill! Aw, some fab cakes by your kids!! 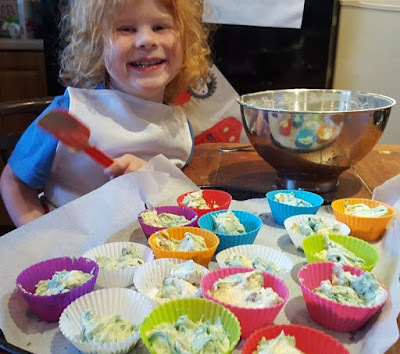 My two love baking too and will get in the kitchen at any opportunity. 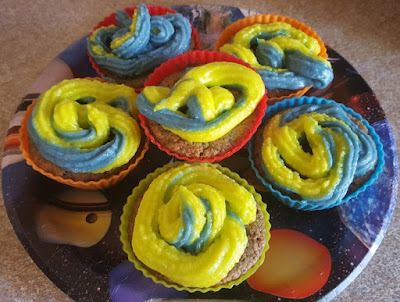 I love the blue and yellow cakes, I think my boy would like those as he is minion made at the moment and they are his favourite colours!